One of my favorite places to brainstorm ideas is Amazon. 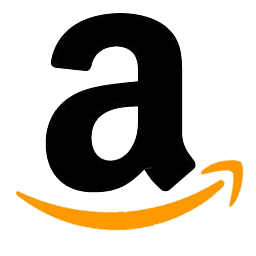 Amazon is the web’s largest bookstore. It’s also a community center for new product ideas. I use it as one of my brainstorming resources. Again and again I visit this site to come up with topics to write about. What makes Amazon so useful as a research tool for getting new ideas is their searchable database of books. There are thousands of great ideas lurking in there if you just know how to use it. And that’s what you are here for. STEP 1: Decide Upon A Broad Category. When brainstorming ideas, you must begin with a broad category to work with. Some examples might be: weight loss, marketing, dating, travel, baseball. Basically, whatever “market” you’ve chosen to dominate. As an example, I’m going to choose GOLF. STEP 02: Search Amazon’s Database. After picking your broad topic to research, it’s time to visit Amazon.com. Specifically, you’re going to search their database of books they are selling. Upon arriving at their site, locate their SEARCH form. At the time of this writing, it was in the upper left hand corner of their main page. Pull the menu down and select BOOKS from the options. In the space provided, type in whatever broad category you chose. I’d type in “Golf”. (You don’t need quotation marks). If you did indeed start with a broad category, then hundreds (or even thousands) of book listings should appear as a result of the search. STEP 03: Brainstorm Ideas From The Listings. Let the brainstorming session begin! Now it’s time to look at the books that are listed and write down as many possible ideas as you can find. Look for the different TYPES of books written about the subject, identifying different THEMES, STYLES and SUBCATEGORIES. 1. Becoming a Better Golfer. There are many golf books available in this area, covering everything from “A-Z of Golf Shots” to specific topics such as “Improving Your Short Game”. There were lots of different themes from “learning to break 100” to “shaving 10 shots off your score” to “7 shots that will change your golf game forever”. 2. Guides to Golf Courses. Again, we have many different ideas here. Specific golf guides like “Florida golfing”, “golfing in Tennessee” and “golfing the Robert Trent Jones trail” appear, as well as books on “the best golf courses in America”, “best kept secrets: great golf courses you’ve probably never played”, and “golf vacation guides”. 3. Profiting from Golf. More ideas pour in with “opening a golf repair business”, “becoming a golf retailer”, “learning how to caddy” and “buying & selling used golf clubs”. What about “running an online golf auction”, “organizing a golf tournament for profit” or even “writing information products about golf”! 4. Golf and Business. There are millions of dollars in business deals negotiated on the golf course every single year. And there are books available to teach folks how to get it done. “How to negotiate business deals during golf outings”, “Legal golf tax deductions for businesspeople”, and “business seminars and golf: how to mix training and fun for maximum profit” are just a few more ideas worth exploring. 5. Golf Products. My, my, my there are so many ideas floating around in here! Everything ranging from reviews of the latest golf equipment to ratings of golf courses to discounts on golf packages. Resource guides to finding the best deals on golfing products, how to negotiate discounts, and how to find the best products for your specific golf game also come to mind as product ideas. See how easy that was? I found TWENTY-EIGHT potential small report ideas (and there were MANY MORE that I didn’t mention) from a simple brainstorming exercise using ONE “idea hangout”. Go ahead and make effective use of how to generate information product ideas from amazon. You will get a lot and you can make a fortune creating and selling information products. You have known how to generate information product ideas, you also need to know how to create and sell information products. When you do, feel free to share your testimony with others by using the comment form provided below. That’s a way of saying thank you for this information you just got.